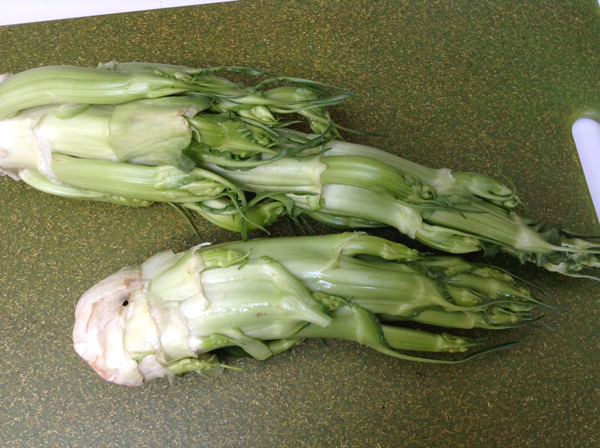 I’d been eyeing Tomatero’s puntarelle for a while, but it’s an intimidating looking green. I love chicory–even more so since our trip to Rome last year, but this stuff still looked a little too sci fi for me. And given it’s typical to trim the voluminous outer leaves away, I didn’t like the waste element. 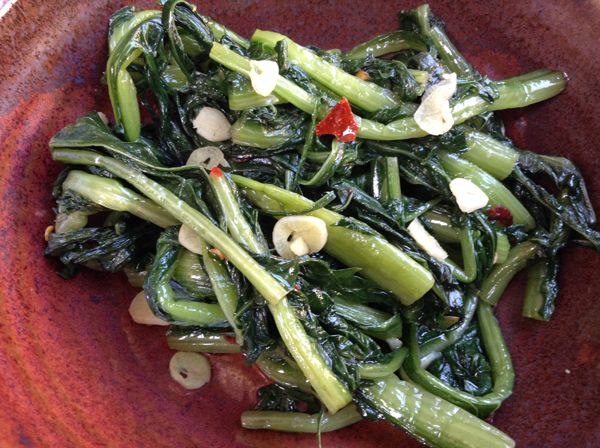 The outer leaves look a lot like dandelion greens, so I decided to cook rather than toss them. Both were delicious and round out a meal rather nicely, giving you a crisp salad and warm side to go with your main course. 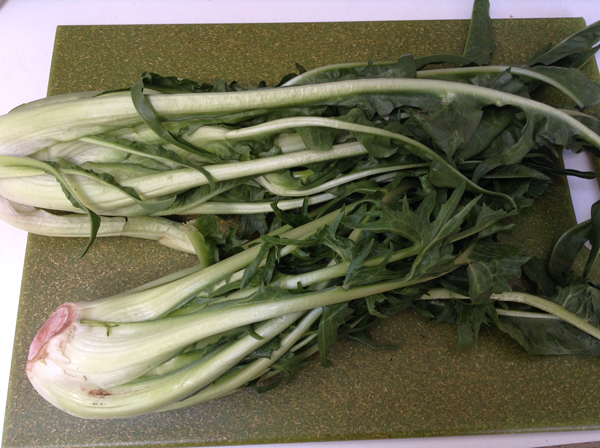 And now is the time to get in there, because puntarelle will only be available for a little while longer. Its season is January, February, March, April, October, November, December. Traditionally the salad is tossed with a rich garlicky, anchovy drenched dressing. It’s one of those dishes where either everyone eats it, or someone might find themselves sleeping on the couch. The size of the head of greens will vary. You’ll get about 2-3 small servings from each head. Remove the outer leaves. 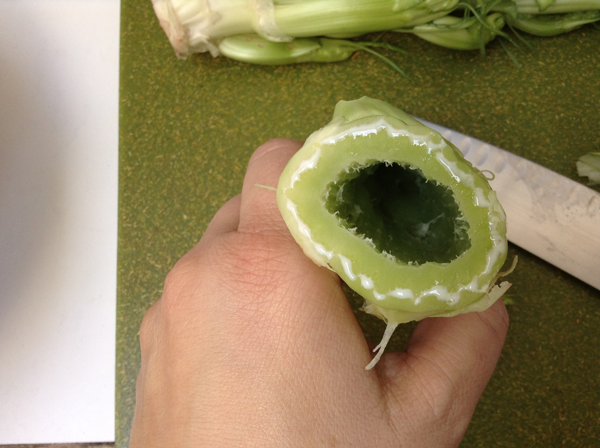 You can also remove the smaller tube-like shoots around inner core, but you don’t have to. Cut the core in half, then in quarters lengthwise. Press the pieces down to flatten. Carefully, with your ever-so-sharp knife, cut the thinnest strips possible. Put the strips in a bowl of ice-cold water for about an hour. The thinner the strips, the more the puntarelle will curl, but if it doesn’t, it will still taste the same, so don’t worry about it. This is enough for about 4 heads of puntarelle. Most recipes call for making this in a food processor, but it’s really too small an amount to catch the blades. I do it by hand and just take care to finely mince or press the garlic and anchovies. In a small bowl, add the garlic, anchovies and vinegar, and stir to combine. Whisk in the the oil, mixing until it emulsifies. 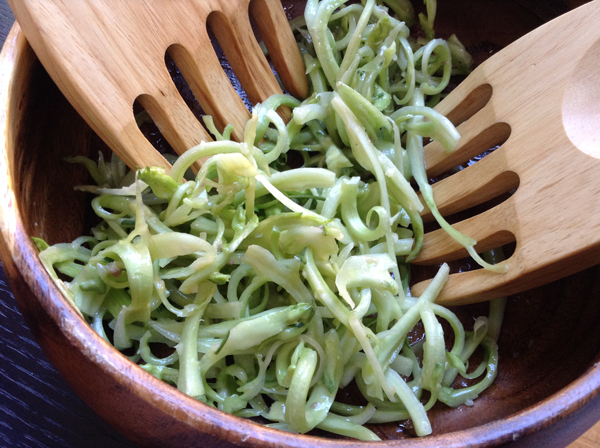 Drain and dry the puntarelle. Toss with the dressing and serve. I wouldn’t dress and store this salad for more than a few hours, but you can cut and soak the puntarelle, dry it, and store it in an airtight container in the fridge overnight. I would add some damp paper towels to keep things from drying out. 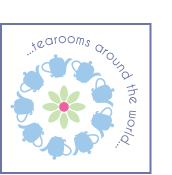 Rinse and drain the outer leaves. Bring a pot of lightly salted water to a boil. Add the leaves and cook for about 3 minutes. Drain. Bring 2 tablespoons of olive oil up to temperature over medium high heat. Add 1-2 plump cloves of sliced garlic, and a pinch of red pepper, and cook for about 30 seconds. Add the leaves and a pinch of salt. Cook until the stalks are tender, about five minutes. Serve hot or at room temperature.